A Highly anticipated and exciting new development at Mary MacKillop Memorial School is now constructed and in use for staff and students to enjoy. The Federal Government provided a block grant to the primary school to design and build a much-needed multi-sport covered outdoor area. 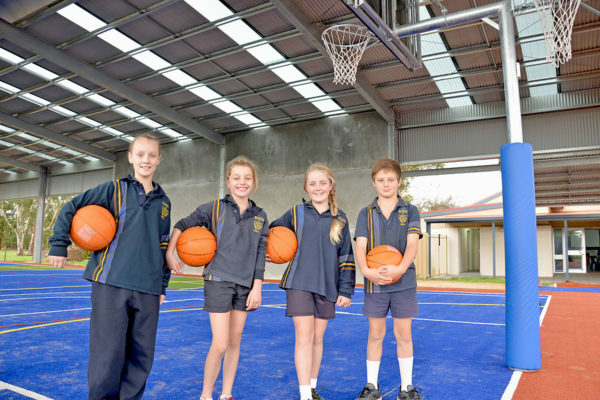 The outdoor facility can be used for basketball, netball and four square, along with diverse physical education lessons, sheltered play area and school assemblies.